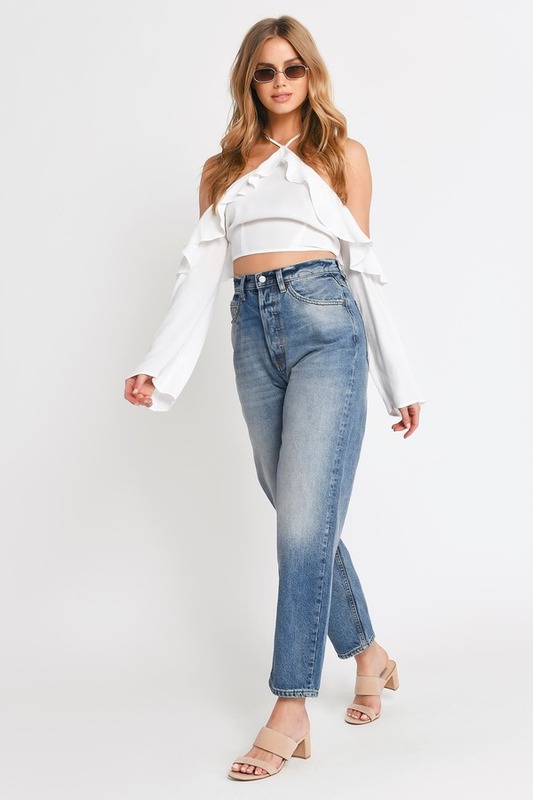 Check out Tobi's Celine Ruffled Halter Blouse Introducing your new night out companion: the White Celine Ruffled Halter Blouse. This gauzy long sleeve blouse has cold shoulder cutouts and an open back framed by a ruffle for after dark drama. 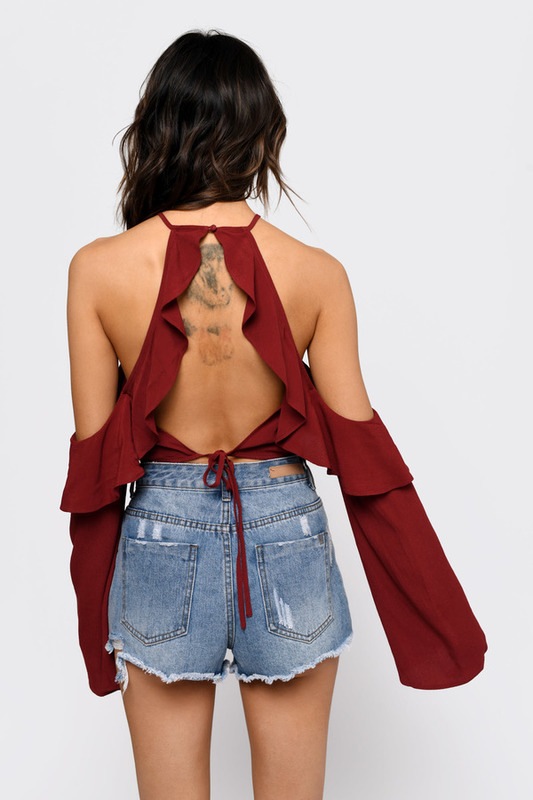 Add a mini skirt and thigh high boots to this cut out top and get ready for compliments. Introducing your new night out companion: the White Celine Ruffled Halter Blouse. This gauzy long sleeve blouse has cold shoulder cutouts and an open back framed by a ruffle for after dark drama. 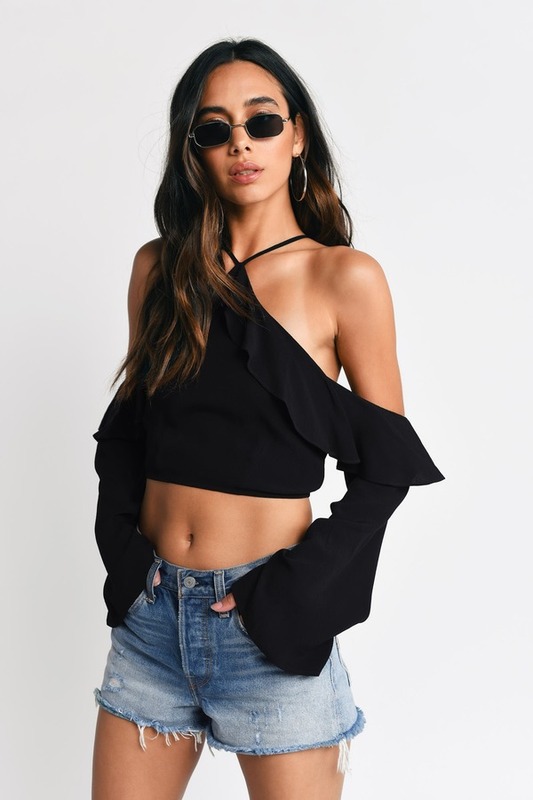 Add a mini skirt and thigh high boots to this cut out top and get ready for compliments. Introducing your new night out companion: the Wine Celine Ruffled Halter Blouse. This gauzy long sleeve blouse has cold shoulder cutouts and an open back framed by a ruffle for after dark drama. 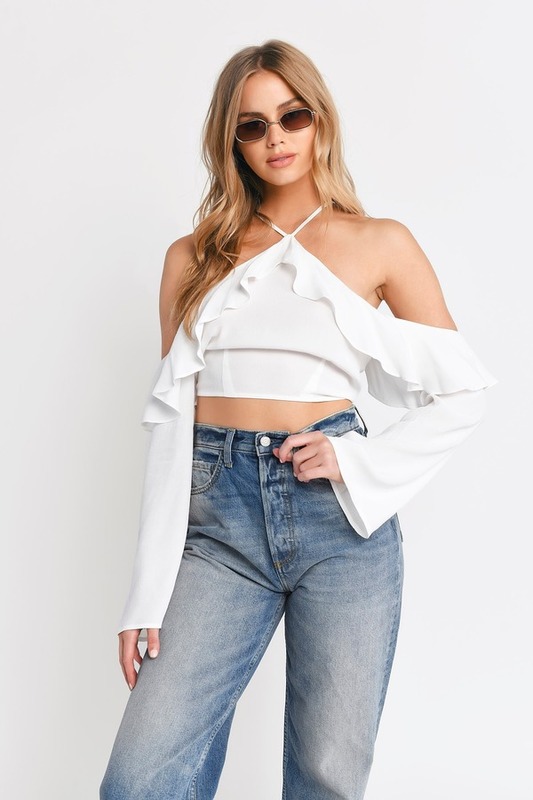 Add a mini skirt and thigh high boots to this cut out top and get ready for compliments. Introducing your new night out companion: the Black Celine Ruffled Halter Blouse. 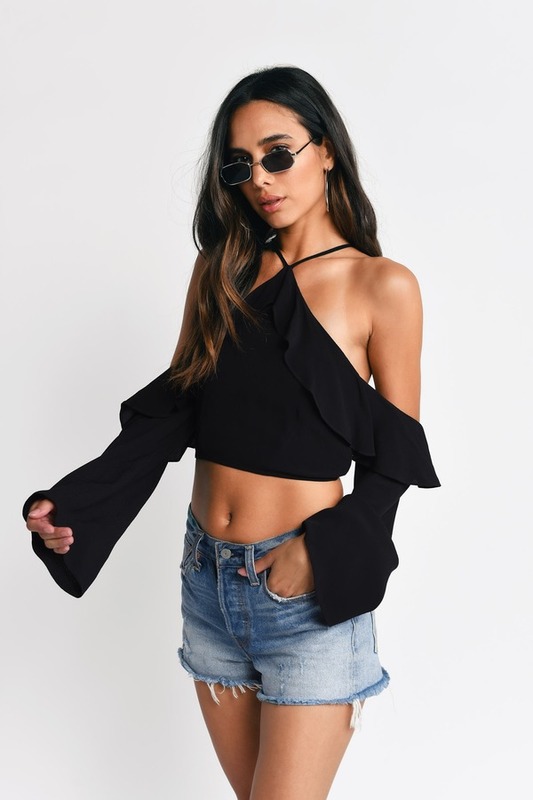 This gauzy long sleeve blouse has cold shoulder cutouts and an open back framed by a ruffle for after dark drama. 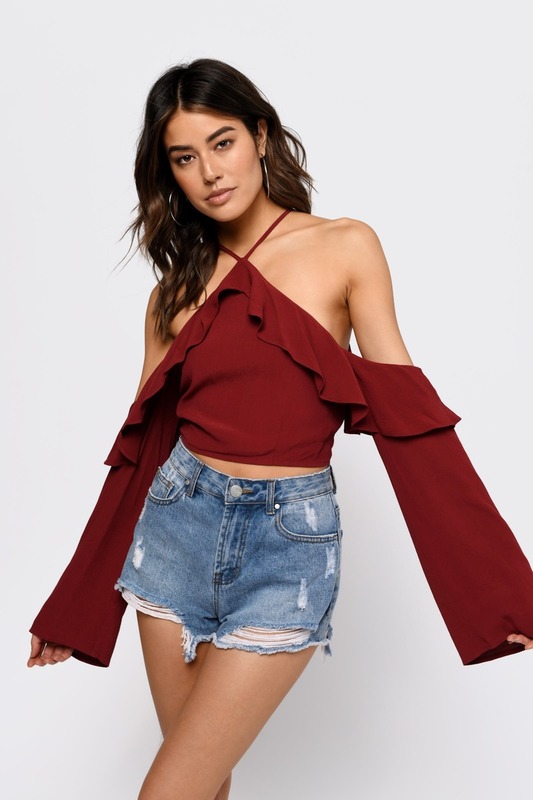 Add a mini skirt and thigh high boots to this cut out top and get ready for compliments.